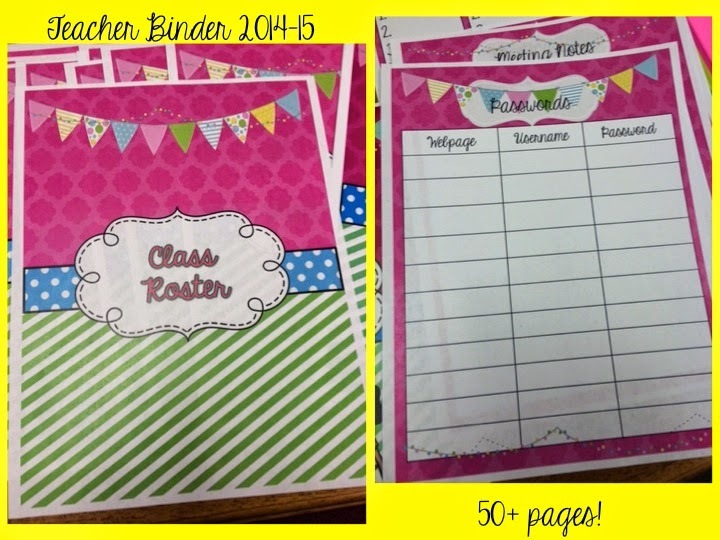 This school year is not over yet but I am getting a head start on creating my teachers a new binder. My summer is going to be extra busy with a son getting married so I thought I should start now on my long to-do list. The new design and look for this Teacher Binder is...BRIGHT. I love all the bright colors of the design so I named it simply-"Bright"! 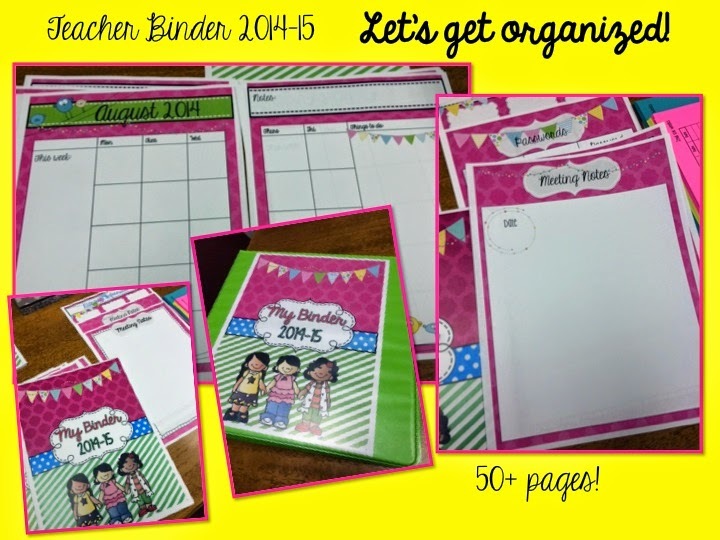 I have had several emails from teachers saying they love this new binder! The bright green notebooks look great with them. Last year I made a big mistake and only ordered 1 inch binders. Lesson learned...we need much bigger binders for the year. We love having the information all in one binder so it is all at our fingertips. Also, a big plus of using a binder is we can add all of our data as the year goes. 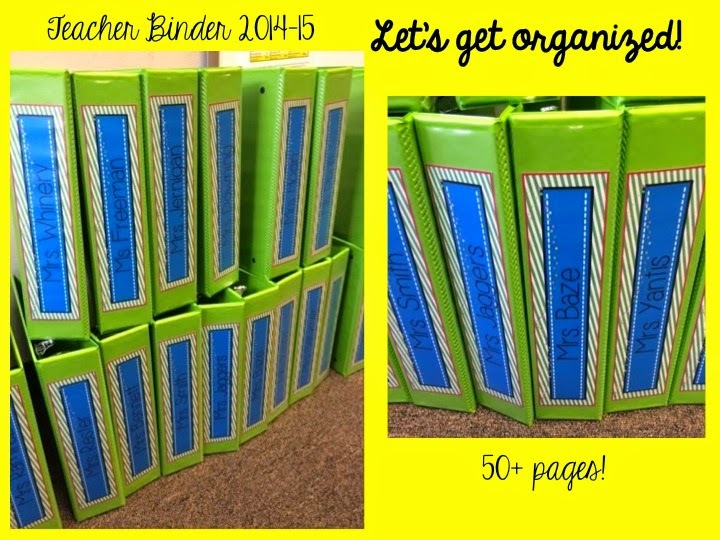 If you need a teacher binder, I think it is well worth $4!